Atlanta,GA: A federal court judge has ruled against individuals seeking to remove the entire Asian American Hotel Owners Association (AAHOA) Board of Directors. In a ruling issued Wednesday, Judge Harold Murphy rejected the plaintiff’s motions citing long-standing law which showed the plaintiffs had not met the legal requirements of the actions they were requesting. Judge Murphy considered testimony by all witnesses accusing management of wrongdoing and stated that the case brought against AAHOA stood little chance of success at trial. 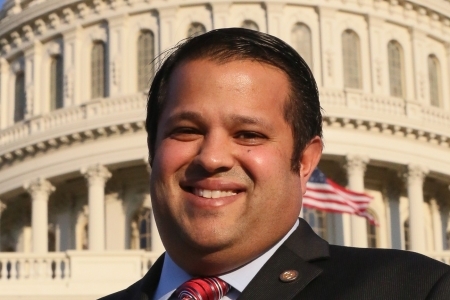 Following the decision to dismiss the motions, AAHOA Chairman Pratik Patel, announced he will take additional steps to ensure that every complaint from an AAHOA member is properly adjudicated through the AAHOA governance process. He went on to state that while most of the allegations contained in the complaint had already been considered by various levels of the AAHOA governance process, he will ask the Board of Directors to reconsider every allegation in the lawsuit at the next Board of Directors meeting on September 2-3. AAHOA is the largest hotel owners association in the world with more than 12,500 members who own over 40 percent of all U.S. hotels. Nine members of the Asian American Hotel Owners Association (AAHOA) had accused Chairman Pratik Patel and the current leadership of “theft, embezzlement and corruption,” in a lawsuit filed on Aug. 12 in the US district court, Atlanta division. AAHOA is headquartered in Fulton County, Georgia. The lawsuit also alleged that in 2003, a group in leadership positions attempted to seize control over AAHOA by manipulating elections and seeking to deny the members of their voting rights as provided by the Bylaws and governance laws. “Recently, a new group, including some of the original bad actors, has again seized control of AAHOA. In pursuit of their own selfish agenda, the leadership is endangering AAHOA by, inter alia, firing the general counsel and other critical staff members who protected AAHOA from self-interested and self-dealing members,” says the lawsuit. Pratik is a second-generation hotelier raised in San Antonio, Texas. He currently serves as President of REM Hospitality Inc., which includes branded hotel properties such as Accor, IHG, and Wyndham, as well as non-hospitality real estate interests. The lawsuit was filed by Jay S. Patel, Anil Patel, Bhavesh Desai, Brijesh Patel, Chandravadan Patel, Divyesh Desai, Hiren Patel, Manish Kumar Desai, and Shailesh Patel.